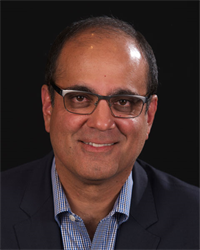 Samir S. Taneja, MD is the James M. and Janet Riha Neissa Professor of Urologic Oncology, Professor of Urology and Radiology, and Director of the Division of Urologic Oncology at the NYU Langone Medical Center. He received his undergraduate and medical education at Northwestern University Medical School. He completed his surgical and urologic training at the University of California at Los Angeles and joined the NYU faculty in 1996. Dr Taneja is nationally renowned as a leader in the treatment and research of urologic cancers. His clinical practice has focused upon radical prostatectomy, partial nephrectomy, and complex tumor resection, by open and minimally invasive techniques. His laboratory research has focused in androgen receptor transcriptional activation and the relationship of AR to prostate cancer growth. He has previously overseen a research laboratory in androgen receptor biology, and has received funding through the National Insitutes of Health, Department of Defense, and the Prostate Cancer Foundation. In recent years, his clinical research interest has been in prostate cancer diagnostics, with particular focus on the use of imaging in the detection, risk stratification, and therapy of prostate cancer. He is internationally renowned as an expert in prostate cancer imaging, MRI-targeted prostate biopsy, and integration of MRI into clinical practice paradigms. He has lectured throughout the world on the use of prostate MRI in detection and therapy. He has served as Oncology Task Force Member and Chair, and Oncology Knowledge Assessment Test Co-Chair, for the American Board of Urology Exam Committee, Program Chair and Executive Committee Member for the Society of Urologic Oncology, and, most recently, Secretary General of the Urologic Research Society. He has authored over 150 articles, 25 book chapters, and 5 textbooks and periodicals on urologic cancer and urologic surgery. He is the Consulting Editor of the Urologic Clinics of North America and serves on the editorial board of European Urology. He is the previous Urology Surveys Upper Tract Oncology Editor, and the current Urology Surveys Prostate Cancer Editor for the Journal of Urology. He is editor of the 3rd, 4th, and upcoming 5th, editions of Taneja's Complications of Urologic Surgery: Prevention and Diagnosis, one of the most widely read textbooks in American urology.